A couple of weeks ago we took a little weekend getaway to Marco Island (it's about a 2 hour drive from Miami). We've been to several places in Florida (from Cape San Blas to Key West) but I have to say Marco Island goes down as one of my favorites. It was such a relaxing weekend and we pretty much never left the resort. Now that we're parents those have become some of our favorite vacations haha. 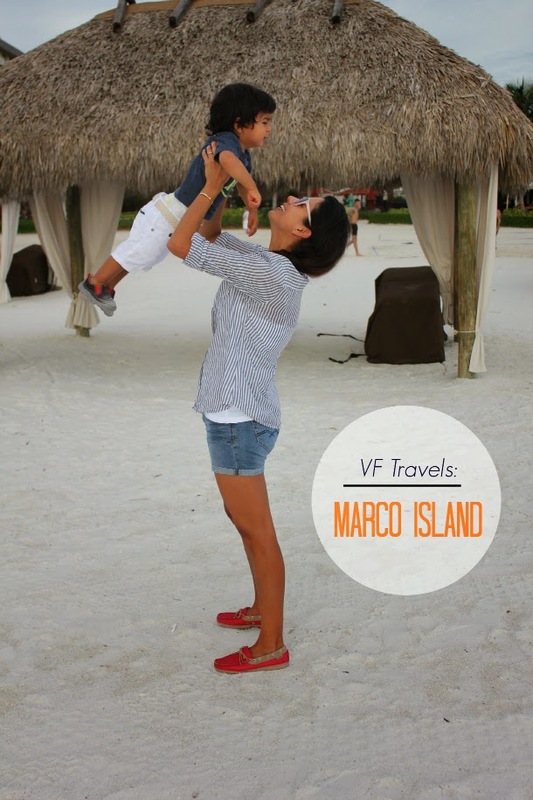 We stayed at the Marco Island Resort which was seriously amazing. It was super kid-friendly and had tons of activities from movie nights by the pool (showing Disney movies) to a kiddie pool with a splash area. In addition to the pool, we spent most of our time at the beach which was only a few steps from our room (and at plain sight). Andres Sebastian would wake up in the mornings, grab his sand toys and bucket and start asking to go to the "agua, agua." The rooms were really nice too. We stayed in their Lanai Suite which had one bedroom with a separate living room and bathroom. This was so convenient because at nights we would put the little one to sleep in the bedroom at then the hubby and I could hang out in the living room watching movies without worrying we were going to wake him up. Overall we had the best time and can't wait to go back again. Sometimes it's nice to just take a little break and unwind. What are some of your favorite places to go for a weekend getaway?